You have been involved bicycle accident in a Spokane, Our Spokane bicycle accident lawyer is committed to ensuring that you receive full and fair compensation for your bicycle injuries. When bicycle accidents occur, they can be very serious and traumatic events. Due to their lack of protection, the bicyclist takes the brunt of the forces during the accident. Bicycle accidents can result in very serious injuries, producing the need for compensation from the insurance company for medical bills, physical therapy, lost wages, and other expenses and damages. Protecting Spokane Bicycle Accident VictimsBefore agreeing to the settlement offered by the insurance company, it is important that you meet with an attorney to ensure that the claim compensation is full and fair. At Russell and Hill, PLLC, we make it our goal to ensure that bicycle accident victims receive the appropriate amount of compensation for their injuries and damages. Bicyclists lack the protection given to drivers of motor vehicles. Normally weighing two tons or more, today’s cars are equipped with seat belts, air-bags, and antilock brakes. Bicyclists, on the other hand, have only their helmets to protect them against the unforgiving momentum of a moving vehicle. Hundreds of bicycle accidents occur in Spokane and the surrounding cities every year. To ensure that victims receive the full and fair compensation that they deserve, our bicycle accident attorneys at Russell and HIll, PLLC are ready to perform investigations and assist victims in obtaining appropriate health care and compensation for their medical needs. Our network of medical experts and doctors can help to diagnose the injuries sustained and support your claim with their medical expertise. Most Washington auto insurance policies have personal injury protection, or PIP, to cover medical expenses incurred by injured bicyclists. These claims can be confusing, especially in cases of bifurcated claims, so our Spokane bicycle accident attorneys can help to guide you through this process. Our attorneys are committed to ensuring that you receive full and fair compensation for your bicycle injuries. We are more than happy to sort out insurance questions and pursue compensation through any and all insurance coverage options available. 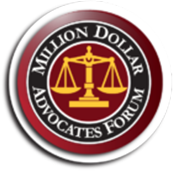 We will also represent you in court if the insurance company disputes the claim or offers an unfair settlement. 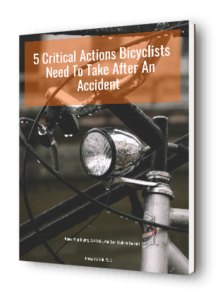 Learn what you need to do after a bicycle accident in our free report! 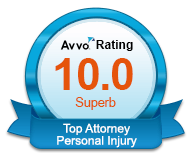 Don’t settle for a claim that doesn’t compensate you for all of the injuries you’ve incurred. If you’ve been involved in a Spokane bicycle accident, contact one of our attorneys today for more information and to learn what your options are. 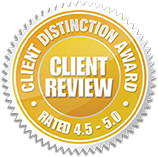 Call us toll-free at 509-204-9701, or fill out our contact form for a free initial consultation.